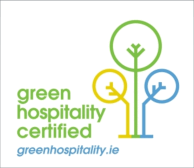 Herbert Park Hotel has been awarded Eco-Label by Green Hospitality Award. 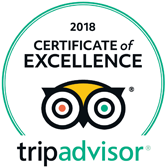 This means that the Hotel has successfully met with the specified criteria of Green Hospitality Award and has been assessed to receive the Eco-Label Award. To reduce our energy consumption by 15% in 2013 over 2012 and reduce Carbon Emissions by 2 tonnes. To communicate periodically our performance and achievements through the Hotel Website and Staff Forum. To supply information to our guests on how to reduce their carbon footprint while in the Hotel. What our guests can do? In each hotel bedroom we provide guests with the option of participating in our ongoing environmental policy by placing the towels that do not need laundering on the racks and rails in the bathroom. Guests' keycards are required to activate electricity in the bedroom. At Herbert Park Hotel all our fresh meat and the majority of our seafood are of traceable Irish origin and sourced from the highest quality Irish suppliers. Please feel free to send in your ideas of how we can make Herbert Park Hotel a 'greener' hotel. Contact Us with your suggestions.